Be part of the Dartmouth community’s effort to give back. 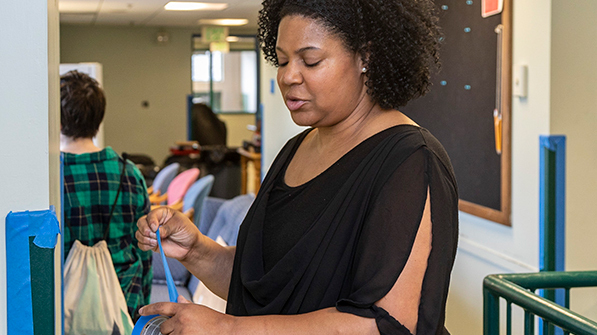 See upcoming opportunities to volunteer and give your support to the local organizations that help our neighbors lead healthier, happier lives. 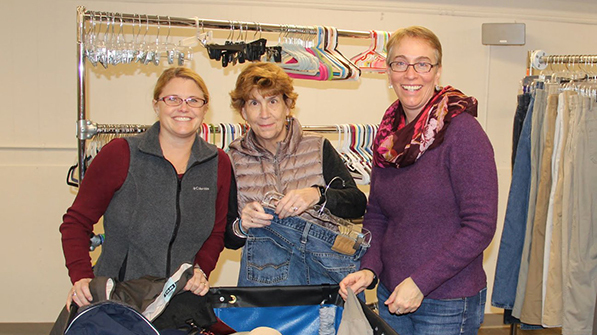 Kari Jo Grant, senior program manager of the Student Employment Office, volunteered at LISTEN Community Services’ new thrift store location with a group of Dartmouth staff earlier in November. Giving Tuesday, celebrated every year on the Tuesday after Thanksgiving, is an international day of charitable giving. Join the Dartmouth community in supporting more than 40 organizations that enrich our lives and serve our neighbors in the Upper Valley and take part in this year’s United Way giving campaign. Brooke is a talent acquisition consultant in the Office of Human Resources. 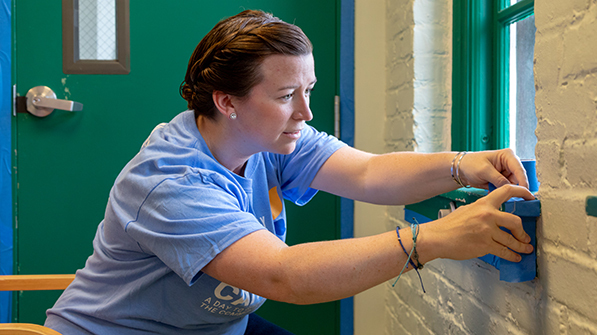 She volunteered at the Lebanon Opera House with a group of Dartmouth staff on the United Way Day of Caring in September. Join Brooke and the rest of the Dartmouth community in supporting the local nonprofits and programs that meet the needs of our most vulnerable neighbors. Give to the Granite United Way today. Last year, the Dartmouth community successfully raised more than $290,000 for the Granite United Way, which uses your donations to fund nonprofits that feed children, shelter families, and help individuals gain financial literacy and live healthier, happier lives. For more than 40 years, the Dartmouth community has supported the Granite United Way to improve lives and empower people throughout our region. Funding from last year's campaign went to several large, well-known Upper Valley agencies, including the Upper Valley Haven and WISE, and also to many lesser-known organizations, including Hartford Community Restorative Justice, White River Junction, Vt.; Special Needs Support Center, Lebanon, N.H.; Horse Meadow Senior Center, North Haverhill, N.H.; the Mentoring Project of the Upper Valley, Bradford, Vt.; and Willing Hands, Lebanon. Read more about the vital impact the College's collective donations made in the recap on Dartmouth News. When we unite to support our neighbors, incredible things happen. 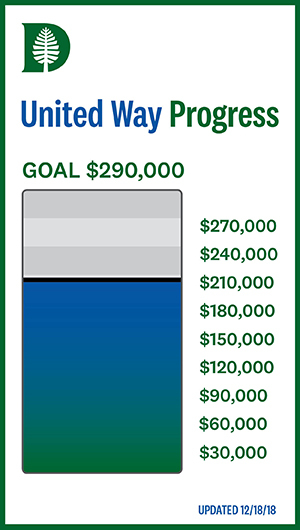 Join your colleagues in raising at least $290,000 for the Granite United Way, which makes the Upper Valley a place where all our neighbors can learn, earn, and be healthy.